Eventually, thank goodness for you, the conversation will move around in the direction of the 99% of educational thought that can’t be measured via a RCT. If that happens, I might even start looking at twitter again! Great post – it will be taken to mean whatever the reader wants it to mean though!! I can see teachers believing they should spend their time finding things in common with their students to ‘make it work’. I think what would be helpful alongside this is an understand of what a ‘healthy’ relationship is in the first place as this is one of the issues of speaking about relationships between pupils and teachers. There is a sense in which any relationship is better than none – which isn’t true in life or the classroom. I once knew a teacher who marked her books every lesson, her room was beautifully decorated with student worked, she planned meticulously, she spent hours working on resources. The kids hated her. She saw me maybe not being so meticulous but having good relationships with students. How do you explain to her how to have good relationships? Yes – this is the crux. Is it that liking a teacher is based on the teacher’s personality, and if students don’t like a teacher, that requires changing who they are as a person? What concrete advice can you give a teacher to get them to develop better class environments? ‘Be kind’ is quite vague – what about ‘smile at students as they come in’, or ‘ask them questions about their lives on a regular basis’? For me, liking your students is the key. As part of development of our T&L policy(*) we asked every student in school “What are the features of teachers that help you learn most effectively?”. (*) this was just part of the formulation – we had teacher working groups; research etc. which led to a set of “principles” that we, as a staff, agree reflects best practice. thx for this post. the moral aspects of teaching practice, including relationships with students and caring, respectful classroom culture, are often sidelined (to continue with the sports analogy). i’ve done research on this. here’s link to my book (routledge) https://www.amazon.ca/Portrait-Moral-Agent-Teacher-Teaching/dp/1138793744. also see Nel Noddings conceptual and philosophical work on teacher-student relationships (the ethic of care). Obviously, you’ve never heard of Nottingham Forest. If this became the expected priority I am afraid of how it would be managed. As you say it’s not a level playing field. For example a teacher might teach low contact and see 400 students a fortnight and management might compare their relationships unfavourably with a teacher who teaches 150 students, expecting to mark books with the same frequency, with no exploration or attempt to manage context. The main change that’s needed is for management to see beyond the boxes they think they need to tick and facilitate their staff as equal aduls so they have an environment to get on with their job. I think viewing your pupils as fellow human beings is key. Children are very sensitive and very discerning. They see through phoniness, patronising attitudes and concealed dislike in seconds. Some teachers have excellent relationships with their pupils without seeming to make much of an effort. Others really have to work at it. For me, little things really helped – learning and using first names as quickly as possible, getting involved in extracurricular activities, asking kids about their day, greeting pupils in the corridor with eye contact and a smile. Personally I think this is an issue ignored by teacher training courses, yet it is perhaps the most important aspect of becoming a successful teacher. The football manager analogy interests me. 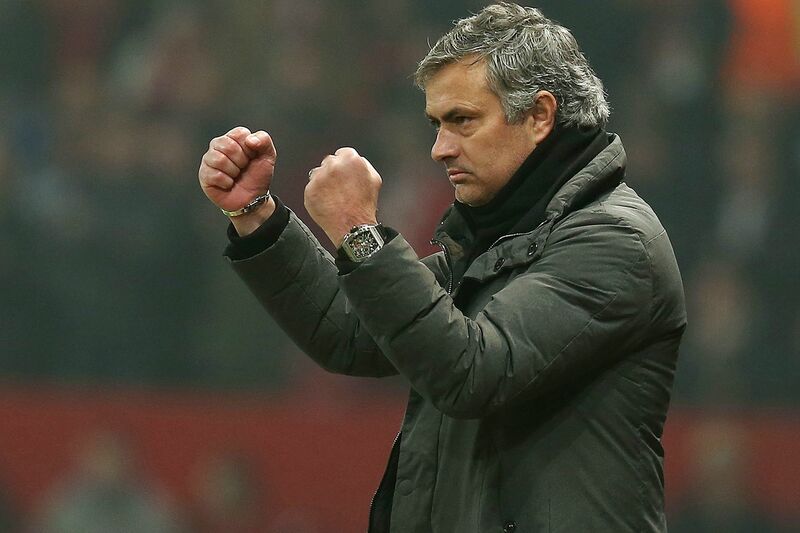 The crucial part of a relationship between a manager and players is ‘winning’. A manager can have a great personal relationship with players but he will still lose the dressing room if the team is not successful. This often happens. Indeed at Liverpool under Roy Evans, the players were so comfortable with him that it ended up undermining the team, whereas Benitez wasn’t universally liked but won respect by being a winner. In the analogy with teaching, ‘learning the curriculum’ is the 3rd crucial component, analogous to winning. I reckon a fair proportion of teachers try to bypass the effort of establishing a great learning environment (which *is* effortful and difficult) by just getting the kids to like them. The relationships between managers and winning and players and winning, and the relationships between teachers and learning the curriculum and students and learning the curriculum precede all other relationships.